Erika Hoffmann-Dilloway’s book, Signing and Belonging in Nepal (2016) captures the ongoing and changing nature of both deaf Nepali and Nepali life in general. It especially marks the shifts in how deaf Nepalis perform their identities through sign language and the relation with the larger socio-political changes occurring during the many years she has visited Nepal. She traces the ties between the caste system and notions of ritual pollution associated with the stigma assigned to deaf people, then shows how deaf signers in Nepal used an ethnolinguistic model of deafness to address this stigma, while navigating the resonances of this model with the politics of language during the Nepali Civil War. Her book also examines how the drive for Nepal to become a modern bikas (developed) nation in the eyes of the global economy influenced interactions between hearing and deaf Nepalis. Erika ends by considering how deaf signers’ practices for framing and labeling different forms of signing may be shifting in the post-war period. I should note that during our exchange, Erika explained that although she used the d/Deaf distinction in the book at the request of the editors at Gallaudet (she had originally used local terms), in more recent works she follows the lead of deaf anthropologists who are moving away from that particular typographical distinction. The terminology used in this interview reflects that. Rebekah Cupitt: Could you discuss how the political changes that occurred after the People’s War have further impacted signing and deaf belonging in Nepal. For instance, is there an instance of deaf signing practices from that period which is indicative of the current political situation in Nepal? Erika Hoffmann-Dilloway: I noted in the book that, since the end of the war, the structural inequalities embedded in Nepali governance have shifted slowly and unevenly in the forging of a “new Nepal.” However, symbolic changes have occurred more readily, specifically with the grounding of nationalism in caste Hinduism becoming less overt. One obvious example of this type of change, which I discussed in the book, was the 2006 appointment of a new national anthem for the secular republic. The lyrics of Sayaun Thunga Phool Ka, or, “Made of Hundreds of Flowers,” are widely understood to signal a commitment to a form of nationalism that is explicitly multicultural and multiethnic and can be seen as an attempt to performatively call forth a not yet realized political landscape, one characterized by the inclusion that adivasi janati (indigenous) groups had struggled for in the war. In this post-war context, then, efforts to link standard Nepali Sign Language (NSL) forms with caste-Hinduism have become a less necessary and effective way to align with explicit symbols of Nepali nationalism. In the book, I addressed how pictorial images of NSL signs served as public resources through which signers could access the cannon of lexical items understood to constitute standard Nepali Sign Language, and also as a tool through which signers were encouraged to create boundaries and linkages between a range of linguistic practices, different forms of representation of such practices, and social types. This use of the creative indexicality of images continues in the post-war period, of course, but the particulars of these practices are shifting along with the changing grounding of Nepali nationalism. Rebekah Cupitt: In Chapter 3 and 4, you talk in detail about signing practices and how they are lexically tied to Hindu traditions in some cases, and in the case of homesign (sign systems developed by deaf Nepali who grow up without access to NSL, see Hoffmann-Dilloway 2016:70), traditions and socio-economic origins are framed as less desirable from perspectives grounded in hegemonic Hindu nationalism. I know that your research makes for an important comment and account of deafness in Nepal but do you see your work as commenting on Nepali culture and religion through deaf eyes and the situated performance of sign language thus offering a counter-narrative of Nepali life? 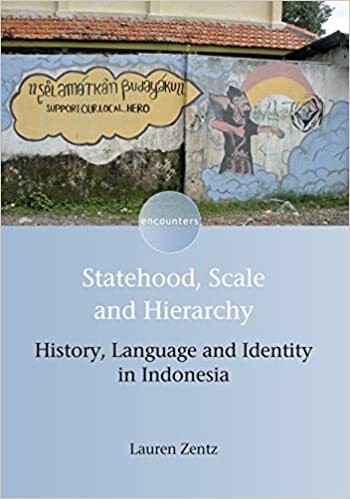 Erika Hoffmann-Dilloway: While the book focuses on the practices of signers, in order to understand the political economies of their efforts to link linguistic forms to social types, it was necessary to consider scales “beyond directly observable and recordable face-to-face interactions” (Inoue 2016:153; Gal 1989). That is, it wasn’t just that I had to try to understand the ethnographic moments in which I participated within a broader social and historical context, but more specifically that I had to analyze the processes through which deaf social actors themselves understood and enacted such scalar relations (see Carr and Lempert 2016). So in that respect the book indeed seeks to highlight deaf perspectives on broader Nepali social life. In some cases, these perspectives reproduced the hegemonic hierarchies of the state within deaf social worlds; in order to navigate the difficult period of the war, deaf leaders didn’t just work to associate NSL signing practices with the middle-hills caste-Hinduism in which Nepali nationalism was grounded. Rather, as you note, these processes also involved contrasting this cluster of practices, qualities, and affiliations with an opposed cluster that could serve as their foil (Irvine and Gal 2000). This broader project also involved work to associate homesigns with non-caste Hindu practices and qualities, in so doing replicating broader hegemonic discourses. At the same time, however, this diverse network of deaf signers did not universally share these bundles of associations. Thus, I also tried to highlight the ongoing semiotic work deaf leaders engaged in (such as leading workshops and creating images that highlighted links between signs and social qualities) in order to make these kinds of interpretive habits cohere, to some degree and for some duration. On the other hand, the way that some signers recruited the concept of porous personhood as a tool to reduce internal hierarchy within deaf social worlds offered a counter-narrative not only of broader Nepali life but also of many enactments of ethno-linguistic models of deafness. Specifically, in some contexts, deaf people who begin to sign later in life, and whose signing shows the effects of such late-learning, may find their status as ethno-linguistically deaf challenged. Nepali signers who drew on understandings of distributed personhood to distribute linguistic competence, thus challenged not only Nepali models that would enjoin “polluted” signers to avoid contact with others, but also the internal hierarchies that can characterize the way that an ethnolinguistic model of deafness may be understood. Rebekah Cupitt: Porous personhood as a concept is a compelling analytical device through which the social collaboration involved in becoming deaf is powerfully rendered, especially the stigma attached to it but it also forms the distinction between Nepali Sign Language signers and home-signers. Could you discuss how this notion of personhood has shifted given the decreasing focus on Hindu caste systems and the karmic model of deafness and a Nepal-wide more towards ideologies focused on development (bikas) and modernity? Erika Hoffmann-Dilloway: In Chapter 5, I focused on The Bakery Café, a fast food chain in Kathmandu that hires and advertises the presence of deaf wait staff, as a way to think through this question. I pointed out that, since food was an especially effective medium for the transmission of pollution, hiring deaf waiters to serve in a restaurant chain was a risky proposition when the venture launched in 1997. However, I suggested that The Bakery Cafe was successful not in spite of the fact that the deaf waiters would “traditionally” have been understood to transmit pollution, but in large part because publicly accepting food from deaf servers created a way for customers to generate and display modern personas that hinged on a contrast with such “traditional” frames. I should add that it’s possible see the Bakery Café’s hiring of deaf staff as part of a neoliberal commodification of linguistic and social variation, which might suggest that an individualizing frame would be overtaking a notion of porous personhood in that context. However, as Inoue (2016:166) notes, “the neoliberal self is produced through processes of “dividuation” as much as “individuation” (Inoue 2016:166), as persons are fractured into shifting bundles of qualities and skills. And, as Friedner (2015) describes concerning Indian businesses that attempt to extract value from deaf sociality, businesses hiring deaf workers may take advantage of the ways in which deaf signers work to share and distribute skills among themselves, saving the management some of the work of training and creating team dynamics. Similarly, in Nepal, it seems that models of deaf sociality generated in part through the concept of porous personhood have been productively exploited as deaf workers are incorporated into such work contexts. So, to address your question more specifically, my point is that these ideological frames and the embodied enactments of them have not replaced one another linearly, but have rather resonated together in complex ways. Rebekah Cupitt: Are you able to speculate perhaps on what a focus on disability or the non-linguistic aspects of deaf culture potentially brings and/or removes from a study of deafness in Nepal? Given the strength of the ties between the ethnolinguistic model of deafness and the now less-popular Hindu nationalist movement, how might deaf personhood and belonging in Nepal appear differently should deaf identity be theoretically decoupled from language? Erika Hoffmann-Dilloway: To think through this question I need to be clear that concepts like personhood, identity, or disability are grounded in forms of semiosis (signification or meaning making). Linguistic practices can’t be easily separated from other modes of semiosis (see Nakassis 2016). For example, though much of my book is ostensibly about Nepali Sign Language, as the set of practices that ground an ethnolinguistic framing of deafness, consider how much of my discussion focuses on modes of semiosis that are generally considered non-linguistic, such as drawings, clothing styles, or food. While linguistic practices are explicitly centered in the meta-semiotic debates I analyze in the book, many of those practices center on forging or disrupting perceptions of entanglement between these linguistic practices and other modes of meaning. Even as I want to keep in mind that language does not function independently of other types of meaning-making, however, working in a context in which many people (such as homesigners) have not had sufficient access to linguistically mediated sociality does make clear that linguistic semiosis is a distinctive and vital form of signification. Because deaf people often suffer from being cut off from sociality when shared linguistic practices are inaccessible, it’s difficult to imagine a politics of deafness in which language plays no role. However, there seems to be a lot of scope for variation in terms of how language is ideologized in deaf framings of personhood and larger scales of belonging. For example, while communicative sociality via accessible modalities will, I think, always be central, it may not always be seen as necessary to ground Nepali understandings of deafness in the perceived use of a particular named language like Nepali Sign Language, nor to posit hard and fast distinctions between named signed languages, spoken languages, written languages, gestural practices, and homesigns (for example, Kusters and Sahasrabudhe 2018). Rebekah Cupitt: It strikes me, on reading the later chapters in Signing and Belonging in Nepal that deaf Nepalis have unique opportunities to engage with the international deaf community beyond receiving aid, sometimes even travelling to these countries, and therefore deaf Nepalis have access that other Nepalis, especially those from the lower castes and socio-economically poor ethnic jats lack. Towards the end of the book, you discuss what it means to be deaf and how deaf identity has changed in response to the political structure of Nepal, but I wonder if you could reflect on the potential for the deaf Nepalis you know, to themselves become drivers of change and not simply respondents – either on a national, local or global front. 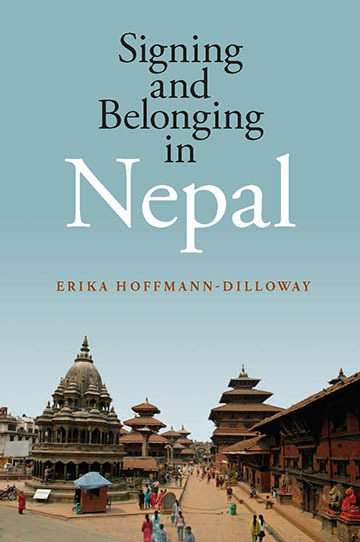 Erika Hoffmann-Dilloway: I closed the book by saying that, “ultimately, I hope to have shown that deaf Nepalis will not only continue to respond to local and transnational change, they will also continue to actively participate in making such change” (Hoffmann-Dilloway 2016:116). Such changes may occur in part through the relationships that deaf Nepalis forge with signers from other countries – relationships that can entail travel but which are also enacted over media like Facebook and YouTube. For example, Pratigya Shakya, the deaf artist whose work I often discussed in the book, prolifically posts videos in which he provides artful portraits of Nepali and Nepali deaf life, which he addresses to a global “Deaf World.” Other signers, like Dipawali Sharmacharya, work with international organizations to create programs to help deaf Nepalis access language, schooling, and work opportunities, while yet others, like Upendra Khanal, have been publishing linguistic analyses of NSL that can affect local and transnational framing of Nepali signing practices (e.g., Morgan, Green, and Khanal 2016). However, given that broader social constructs (including both “Nepal” and the “Deaf World”) are generated (if not in predictable or controllable ways) by the interactive engagements they mediate, all deaf Nepalis are actively engaged in collaborative and contested ways of producing, shaping, and changing their social worlds. Friedner, Michele, 2015. Valuing Deaf Worlds in Urban India. New Brunswick: Rutgers University Press. Gal, Susan. 1989. “Language and Political Economy.” Annual Review of Anthropology 18: 345–67. Hoffmann-Dilloway, 2016. Signing and Belonging in Nepal. Washington D.C.: Gallaudet University Press. Inoue, Miyako. 2016. “Where Has ‘Japanese Women’s Language’ Gone? : Notes on Language and Political Economy in the Age of Control Societies.” HAU: Journal of Ethnographic Theory 6 (3): 151–77. Irvine, Judith T. and Susan Gal, 2000. Language Ideology and Linguistic Differentiation. In Regimes of Language: Ideologies, Polities, and Identities (Paul Kroskrity, ed. ): 35–84. Santa Fe, NM: School of American Research Press. Kusters, Annelise and Sujit Sahasrabudhe, 2018. Language Ideologies on the Difference Between Gesture and Sign. Language and Communication 60: 44-63. Morgan, Michael, Mara Green, and Upendra Khanal, 2016. Sign Language: Southern Asia. In The Sage Deaf Studies Encyclopedia (Genie Gertz and Patrick Boudreault, eds. ): 815-817. Thousand Oaks: Sage Publications. You explain in your book that Ikea is “a simple microcosm of the social democratic order” (p. 202), which might surprise some Ikea shoppers who don’t think in terms of a politics of form. Could you explain how you trace in your book the ways that design in Sweden is viewed as self-evidently a political project? I think outside of Sweden and the Nordic countries, most people’s familiarity with Swedish design (if there’s any familiarity at all) starts and ends with IKEA, since it’s the largest furniture company in the world, and one of the most recognized global brands. But yes, this doesn’t mean that the long history of ideological links and influences between social democratic politics and design — especially furniture design and industrial design — are easily gleaned by, say, shoppers in Illinois, California, or Hong Kong. But in Sweden, it’s a different story. The core premise of the book is pretty simple: in Sweden there are lively and vibrant connections between political values espoused as traditionally “social democratic” — equality, transparency, care, and others — and the design of everyday things, including furniture and other home goods (think IKEA), cars (think Volvo), interior architecture, and so on. According to the cultural logic sustaining these relations, everyday objects, just like the state, are designed to take care of people in their everyday lives, and this is not by accident. But what does that really mean? How are these connections between things and politics actually constituted, how are they maintained and cultivated, and who is invested in perpetuating them? Perhaps an even simpler way of phrasing it is, “Swedish design is political, but how exactly is it made to be political?” If shoppers in Illinois, California, or Hong Kong don’t readily recognize the cultural and political background of the furniture carefully staged in IKEA showrooms, but shoppers in Sweden do (at least to some non-trivial degree), that’s an indication (to me at least) that there’s something going on in Sweden that’s worth taking a closer look at. Of course it’s difficult to analytically apprehend Swedish design — and “design” more generally — as just one simple category, or one more or less coherent thing. You can’t talk about Swedish design without focusing on particular forms — typical modernist forms like squares and straight lines — or particular discourses, social actors, institutions, practices, and more. All of it matters, irreducibly. While design historical analyses tend to center and elevate famous designers and their famous objects, it’s a perspective that often leaves out so many other relevant conditions that render design and designing more than simply stuff and its making. Which is to say, you can’t really just look at one factor, like iconic chairs, or superstar designers, in order to understand the cultural and political significance of design. Instead you’ve got to follow how these factors connect and alight upon one another, across a bunch of different domains. And ethnography is a really good way of doing that. So in the book I trace some of the different ways in which design has been constructed and cultivated as a sociopolitical project in Sweden, moving between different domains, and focusing on different forms at different scales. I follow the progression of discourses of both “good design” and “a politics of care” in Sweden from their modern origin in the 19th century up through their more recent manifestations in the early 21st. I look at specific social actors, including not just well-known designers, but also politicians and activists from the past, and less well-known designers of the present, to explore the harmonization of ideologies between design and social democratic politics over time. And I examine different institutions and their practices, including the small-scale motions involved in studio design work, and the exhibitionary protocols of museums, fairs, and even IKEA, to show how objects acquire different but complementary meanings in their circulations through social space. All of this is directed toward understanding how design, acting as a method of world-making, gives form — including specific shapes, objects, discursive forms, forms of social organization, political forms, and more — to the everyday world in Sweden. How do you think that a strong training in linguistic anthropology shaped your analysis of Swedish design? 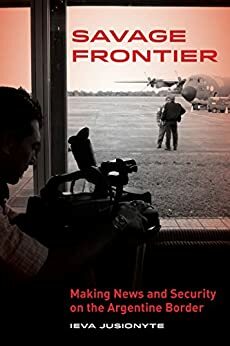 There are probably dozens of ways in which my background in linguistic anthropology helped push the kind of analysis I ended up producing in this book, but I’ll stick with three. First, I think linguistic anthropology, especially the version I was trained in at UCLA, really rewards attention to small details. One of the earliest lessons I learned in linguistic anthropology, when I was a first-year undergraduate at the University of Chicago, was that language, a phenomenon so familiar, intimate, and present in our lived experience, is practically bursting with unrecognized meaning, which you can start to see clearly once you turn your gaze toward the details. When I started my fieldwork — which, by the way, was originally more concerned with hand gestures and body language than with design – this attraction to small details was my basic stance for conducting research. So I guess it wasn’t surprising that I transposed that training onto an analysis of common forms in furniture and other designed things, stuff that, like language, suffuses everyday experience but whose complex webs of meaning are typically just barely recognized. Second, I think theories developed and worried in linguistic anthropology are widely applicable beyond the domain of language (a point that Costas Nakassis usefully articulated in 2016). Of course there has been a longstanding trend in the social sciences and humanities to use language as a model for explaining non-linguistic phenomena (“linguistic magic bullets,” as Charles Briggs has described it). But from my point of view, one of the problems with this trend has been trying to apply an analysis based on linguistic properties onto non-linguistic things, rather than using the theory to understand the properties of the things themselves, for what they are (that is, not trying to make them “look like” language). This is why Pierce is so useful (as opposed to, say, Saussure), because his semiotic is derived from logic rather than from language, which means to analyze material objects from a Piercian perspective, you’re not forced to transduce a language-based model into some other semiotic framework, and thus assume some analytical lossiness in the process. But it’s not just Pierce and semiotics that helped me examine Swedish design. I ended up drawing on Austinian performativity, and, quite unexpectedly, the version of pragmatics offered by Deleuze and Guattari, because these perspectives resonated with how design work is accomplished in the studio. Assumptions derived from Goffman, Garfinkel, and the Goodwins about how meaning is activated and transformed through social interaction, and Duranti’s close attention to the various forms that politics takes across social modalities, all of this undergirds much of my overall analysis. Basically, it feels like (to me, anyway) linguistic anthropological theory is very useful for understanding pretty much anything. Finally, and this relates to the previous two points, linguistic anthropology really prepares you to pay attention to form. Whether it’s thinking through sociolinguistic variables, allophones, collections of conversational instances or similar hand gestures, and more, we often find ourselves dealing with linguistic features that, from a phenomenological point of view, exist as formally distinct, yet from a social or analytic point of view, are treated as examples of the same thing, that is, as having matching forms. I sort of adopted this idea and ran with it, to see how far I could take it: that social forces work to match different forms in ways that allow them to be seen as examples of the “same thing.” Thus, in Swedish design, squares and equality, chairs and democracy, and blonde wood and care, all of which obviously take different forms, can nonetheless be made to formally “match” one another through complex semiotic processes. I was wondering if you could explain a bit for readers of this blog one of the very imaginative arguments of your book, an explanation of how designers who are in a profession that is supposed to be constantly innovative manage to create an internationally recognizable Swedish style. Part of my argument is that designers themselves are only partially in control of the designs they create. This is obviously true when we look at constraints like the design brief, which can specify things like an object’s materials, size, costs, colors, etc. And clients can often intervene and ask for changes in a given design (this is usually not something that designers appreciate). But there are other conditions that, in combination, tend to lead to the preservation of a particular Swedish design style over time, even as designers themselves innovate in their own work. I try to trace this across different domains, including in the studio, where designers sit quietly at computers sketching the lines of their objects and talking their ideas through with colleagues. One of the things I began to notice when I watched and re-watched video recording of these interactions is that there is a strong preference for “typical” Swedish design forms, like squares, rectangles, and straight line, that regularly plays out in the ways that designers talk and evaluate their work, accompanied by a dispreference for deviations from this norm. That is to say, emergent designs that “look” or “feel” Swedish tend to get publicly assessed as “good,” while those that “look” more experimental are assessed less judiciously. One effect if this is that “Swedish looking” objects tend to get more designerly attention, and tend to make it through a design process intact. This, even while designers shy away from overly affiliating with some normative concept of Swedish style. There are other factors that preserve and cultivate Swedish design. Many institutions like museums, galleries, media, government and semi-government authorities, and stores like IKEA all have some investment in stitching together design style, material objects, and social democratic ideology. Designers may themselves see this investment as antithetical to their own individual creativity, however once they release their objects into the world, they lose significant control over how those objects are described, re-described, and displayed. And there’s a network of loosely orchestrated social actors and institutions in Sweden always prepared to render actual tokens of design as examples of a more abstract “Swedish design” type. There’s more to it, of course, but I want to point out that at different scales and in different ways, language is crucial to the project of cultivating Swedish design. It’s not just about specific objects and their forms, but rather how language and form and political values co-constitute one another in and across cultural domains in Sweden. If you could imagine the anthropology of design becoming a vibrant subfield, what are the still unexplored questions that scholars could start tackling? I’m obviously biased, but I definitely think the anthropology of design should become a vibrant subfield. And in some ways it is already! I’m certainly not the first anthropologist to deal with design, although when I started doing this work in the mid-2000s, I did face a fair amount of skepticism. But nowadays there are lots of anthropologists, in North America and Europe in particular, who are turning an analytical eye toward design in one way or another. There is a bit of a problem, though, in terms of how an anthropology of design might continue to take form. It’s similar to the problem that Alfred Gell discusses at the start of his chapter, “The Technology of Enchantment and the Enchantment of Technology,” while ruminating on the anthropology of art: to what degree are anthropologists who study design “captured” by their own object of inquiry? Designers, many design researchers, and – frankly – capitalists of various stripes, love to tout the salutary power of design without fully acknowledging design’s many downsides (of course what this means depends on what particular kind of design you’re looking at). One worry I have is that anthropologists of design get seduced by the very seductive discourses of design that espouse the kind of “goodness” we’ve come to desire in ourselves as a discipline. I often feel myself falling into this trap. But on the other side, there’s also the possibility that anthropology’s sharp critical edge will dismiss design as, yes, a tool of capitalism, and thus an oppressive force that should be pushed back against and heavily critiqued. This is something that I also often feel. It seems to me, though, that a dynamic anthropology of design should tack back and forth between these two perspectives, to not settle on one particular hill, but rather to turn a skeptical but curious gaze toward the vast valley in between, figuring out what design is, as a form of human action, and what it’s doing for particular groups of people in their particular social worlds. In my book I’m offering a close analysis of design in Sweden. I’m not claiming design works this way everywhere (clearly it doesn’t), but I do hope that I’m providing tools for people to use to examine how design works in other contexts. It’s sort of a truism at this point to say that design is political, but one of the things that anthropologists can offer is a critical analysis of how design operates as a political force in different parts of the world. We can also explore design as a mechanism of social control; or as aesthetic hegemony; or as a generator of ideology; or as a mediator between institutions and ordinary people. A design anthropological framework can be applied to more than just objects. It can be applied to cities, processes, spaces, infrastructures, and more, and it will always include people, things, ideologies, and practices, without necessarily excising any one (or more) of them. Basically, I think there are innumerable projects that a design anthropological framework could be useful for. Has your fieldwork for this project changed how you buy furniture or other objects for your home? Yes and no. When I came back from the field, I decided I needed to buy much nicer furniture for myself, because living in a comfortable, beautiful home is — according to the Swedish model — a kind of care. But I quickly discovered that the furniture market in the US is basically split into only two segments: the low-end stuff, like IKEA, Target, and the MDF things at Crate & Barrel; and the high-end stuff that I really can’t afford. There isn’t really any mid-market furniture, stuff that looks nice and is of decent quality, but that isn’t super pricy. So I’ve basically had to stick with IKEA (sometimes moving up from MDF to actual wood or metal!) and some other random used furniture. But I do now pay a lot more attention to how I decorate my place, and how I use color in my apartment, and the materials of the things I buy (I’ve recently entered a cork phase, for some reason). Lighting is important, too. And I’ve recently decided to do what many of my Swedish friends have done: invest in nice furniture slowly, over time, but always prioritizing it as something worth spending money on, because feeling comfortable in your space is a worthwhile goal. If you found yourself sharing a taxi to the AAA conference with a media anthropologist studying Chinese soap operas, how would you explain your book’s major points? It’s funny that you mention soap operas since some of the names that are given to the (pagne) cloth that features at the heart of the book are named after (or inspired by) the characters of popular Ivorian and Latin American soap operas. A pattern called “Ricardo’s suitcase” for example is named after the hero of a Brazilian telenovela, and there are many others that broadcast images about power and politics, beauty and wealth, and romance and conflict between men and women in global West Africa. I’d probably continue to talk more about the framing and analytical connections between television, cloth, and the global-local mediations of popular culture, but let me get to the book’s major points. 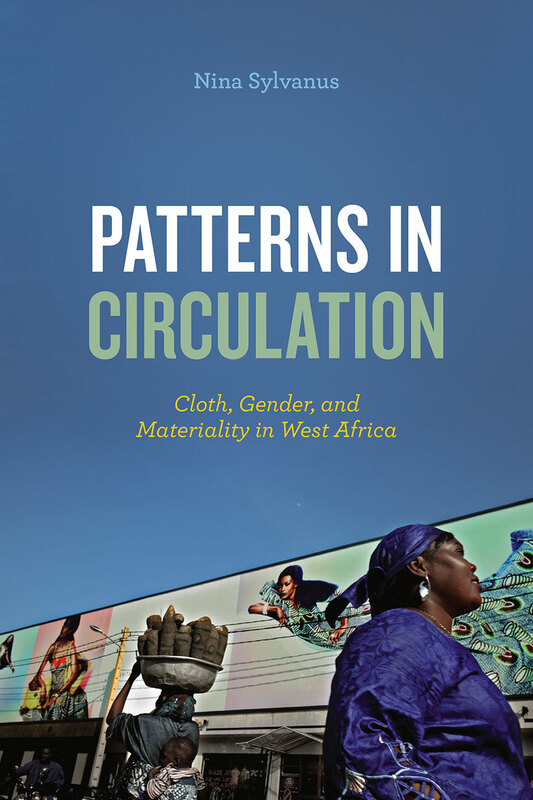 In the book I take a mundane object –the pagne or the boldly patterned wrap that women wear in large parts of West Africa—to trace its origins, paths of circulation, and its technical and social production from Holland to Java, from Togo to the broader West African region, and now from China back to Africa. Drawing upon archival research and multi-sited fieldwork, the book theorizes the material economies of this iconic commodity (so-called Dutch wax cloth), born out of 19th-century Dutch colonial efforts to copy Javanese batik cloth for Southeast Asian markets, and reborn as a cultural and status marker for West African women. I think of this wax-printed cloth as a vibrant object and an assembled commodity, whose fabrication is uniquely entangled in both imperial circuits of commerce and more recent controversies over piracy and appropriation. At the heart of this work are two metaphors. First is a visual metaphor: “pattern”–the idea of (memorable) recurring forms that we see and recognize across time and space. Secondly, there is “dense materiality” –the notion that there are properties inherent in the cloth that gives it material agency, and yet it is manipulated by its wearer and brought to life by the body. Through analysis of the cloth, my book reveals the making, unmaking and remaking of relationships between things, people, and the institutions that govern them. While the material object is at the center of the story, the book pays close attention to its various uses and to the way it extends out into different spaces: into the market, into the world of national Togolese politics, and into factory floors in Holland and China. Chapter 3 focuses on analyzing wax cloth as a medium central to political spectacle and the formation of Togo as a nation, I was hoping you could talk a bit about the analytical implications of engaging with cloth this way. Taking cloth to be a medium particularly well suited to the political in Togo allows you to add to Benedict Anderson’s argument about how national identity emerges, and am hoping you can talk about how using cloth makes this a specifically Togolese form of nationalism. To answer this question is to address the chapter’s central arguments about how a material object such as cloth helped forge national identity in intimate and public terms in Togo. I have to start with the Nana Benz’s role in the representational order of the nation. The term Nana Benz refers to the powerful Togolese cloth traders who controlled the West African wax cloth trade from the 1950s to the 1990s, until political crisis, neoliberal reform and Chinese knock-offs derailed their hold on the economy. Named this way because these market ‘mothers’ used their wealth to buy the Mercedes Benz cars, which they then lent to the long time president-dictator, the Nana Benz built their financial power by controlling the circulation of cloth and embedding the cloth’s semiotic power (and their branding power) into the order of the nation. The Nana Benz made the nation both intimate and palpable, by trading on national associations in the popular pattern names they bestowed on pagne, thus enabling ordinary Togolese to partake in the narrative of nation-building through their everyday consumption of cloth. Anderson’s argument about print capitalism is useful for considering how wax cloth (pagne) reached the masses, solidifying communal identities while registering national, ethnic, and gender differences. This is what makes cloth a particularly well-suited medium to the political and the specific brand of Togolese nationalism. The efficacy of this particular type of cloth and its association with Nana Benz-style nationalism is reflected in the common stories Togolese remember about the cloth traders, which offer insights into the way the Nana Benz (and their powerful stock in trade) captured people’s imaginations. My analysis draws out the “dense materiality” of cloth and the way it can at once evoke sentiment and move imaginaries and bodies while grounding the political and the nation in its materiality and visibility. Because cloth provides a surface for multiple narrations and representations (the literal image layered onto the cloth for everyone to see and the bundle of unbridled meaning it generates and that is open for manipulation) it was made to work as a medium that inscribed and disseminated the political spectacle and embodied power. For instance, when the portrait of the Togolese dictator Eyadéma (in power for nearly 40 years) appeared on cloth, the fabric literally captured the body politic during political spectacles when wearing the presidential party pagne became practically obligatory. During the course of your research, how to be a successful trader transformed to such a degree that who was or could be successful shifted dramatically. Could you explain how trading cloth changed to such a degree during those ten years that the Nana Benz was replaced by the Nanette? One of the most dramatic events that fundamentally changed the nature of the regional cloth trade was the 1994 currency devaluation of the West African CFA franc: when the price of cloth doubled over night and practically turned an everyday consumer good into a luxury item. At the same time, shifts in global production, the liberalization of Togo’s political, economic and public spheres and the undoing of the old system of cloth distribution, which had granted the women traders exclusive retail rights to the (Dutch) designs, all weakened the Nana Benz’s place in the market. With the breakdown of national protections in post-Cold War Togo –amidst the crisis of the state, the unraveling of the dictatorship and national structures (Charlie Piot describes this process brilliantly in Nostalgia for the Future)– the Nana Benz’s position as entrepreneurial nationals diminished, if it wasn’t devalued all together. So when this system fell apart, a new set of female Togolese entrepreneurs, the Nanette, began collaborating with Chinese companies to produce better and better imitations of Dutch wax, undermining the very basis of class distinction in Togo as well as throwing wax cloth production and distribution into chaos. Over the course of a decade-long fieldwork (2000-2010), I witnessed the struggles, and in some cases the financial ruin, of the old guard of cloth entrepreneurs whose profit margins continued to decline while some Nanettes accumulated fortunes. Although the Nana Benz initially denigrated the new China prints that the Nanettes distributed to cash-constrained consumers as fakes, some of the older women entered the China trade with varying degrees of success. For the new trade required a new kind of entrepreneurial subjectivity and savvy, including the ability to operate multiple trades at the same time. As subtle neoliberal actors, the Nanettes fashioned themselves entrepreneurially through the flexibility of cloth, moving themselves and cloth in and out of Chinese factory floors. But tinkering with cloth design, engineering copies while teaching Chinese manufacturers about the qualia of cloth — its texture, color, and smell— to enhance its sensuous and aesthetic properties is also a high-risk affair. I saw several Nanettes ruin themselves when the containers of cloth they had commissioned arrived at the port with unsellable (that is, faulty) merchandise. Navigating the fluctuations of a market where profit is made from the speed of copying and moving things transnationally, requires a distinct set of entrepreneurial dispositions. A successful Nanette not only appropriates neoliberal logics but she mobilizes an autonomous set of practices and subjectivities by constantly moving herself and cloth, cultivating close relationships with powerful port brokers, and involving herself with innovative open-source design and production. What does the story of China’s role in Africa look like when one begins by looking at the trade relationships surrounding cloth? The circuit of capital built in the corridor between Africa and China is often portrayed as the new axis of South-South exploitation in Western media and policy discourses. Lurking behind this new axis are often ideological fears about the decline of the West in the world and the appearance of new global empires. Simplistic descriptions of Chinese neo-colonialism fall short in accounting for the complex ways that objects enter into and make social life, history and transnational trade. Looking closely at the materiality of trade and cloth allows moving beyond clichés about new forms of colonialism to ethnographically study what Chinese investment in Africa means for the people who work and live there. What I try to show in the book is how China-in-Africa or China-in-Togo for that matter is made through complex patterns of coproduction and cross-positioning. Nanettes traveling to China leverage considerable agency with Chinese manufacturers who depend on the women’s deep knowledge about the qualia of cloth and consumer taste. These are intimate encounters, when traders spend weeks at a time on a single factory floor and become producers of their own brands. Which does not mean that traders and consumers view the dominance of Chinese goods on local markets as unproblematic. There are many symbols, metaphors and stories that are associated with Chinese traders who dupe the population with low quality goods in the city. Yet beliefs about the aggressive business practices of Chinese traders are often contradicted by the traders’ actual practices. I am currently in Togo to work on my new project on Chinese investments in the Lomé port (Harboring the Future) and have had time to reconnect with the China-trading women in the market. While some complain that there is no longer money to be made in Chinese cloth (partially because there is too much of it), others speak of a strengthened partnership with their Chinese manufacturers. Certainly, what this trade relationship surrounding cloth reveals is the patterning of a new phase of global capitalism–whether that is capitalism with “Chinese characteristics” à la Aihwa Ong or a new form of (last) frontier capitalism remains to be seen.